Enjoy the sun and rejuvenation of Palm Springs from our non-smoking Knights Inn Palm Springs hotel. 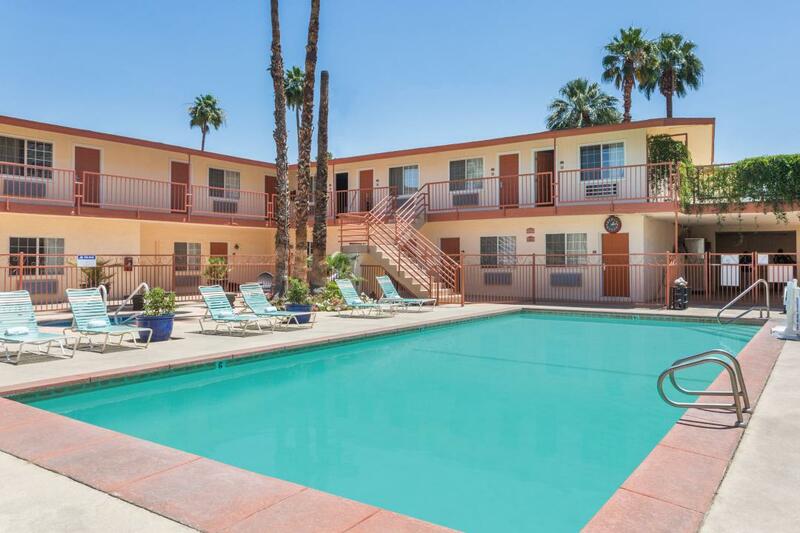 Our value-priced location near downtown Palm Springs features a large outdoor pool and hot tub. We offer free WiFi Internet access and free parking, and free coffee and tea each morning in our lobby. Our non-smoking hotel near downtown Palm Springs features a large outdoor pool and hot tub. We offer free WiFi access and free parking. 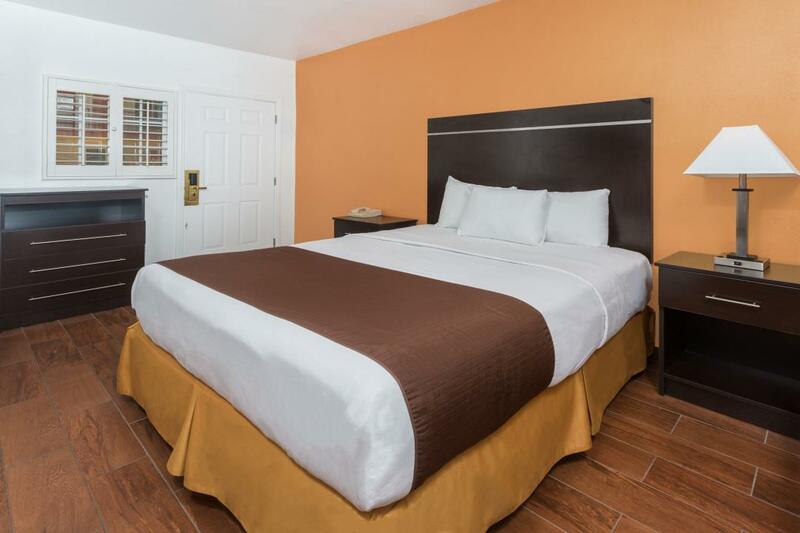 Our rooms feature cable TV, microwave, refrigerator and coffee maker - perfect for short or extended stay visits. We also offer free coffee and tea each morning in our welcoming lobby. Climb San Jacinto Mountain, take the Palm Springs Aerial Tramway, and hike the area's canyons, mountains and trails for breathtaking views. Treat yourself to a round of golf at Indian Canyons Golf Resort. Smoke Tree Stables offers up a horseback ride in the wind-kissed Palm Springs desert. Our pool and hot tub are perfect for winding down after a day of adventure.